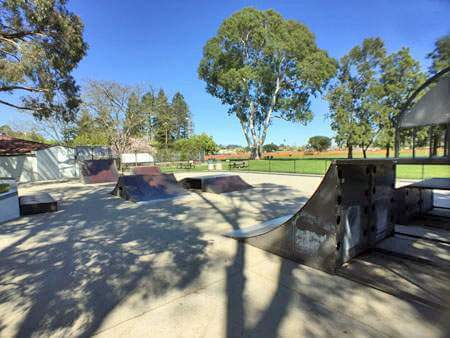 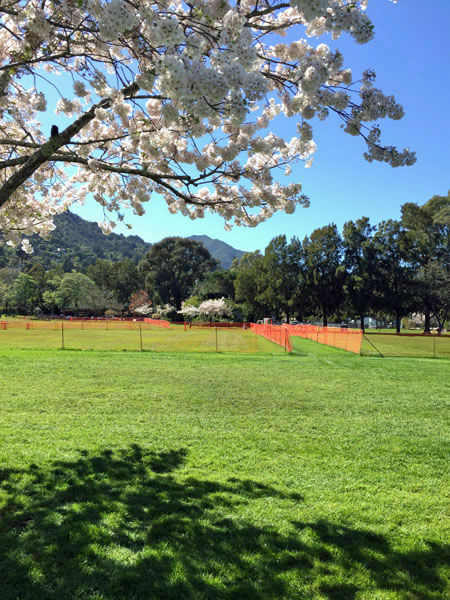 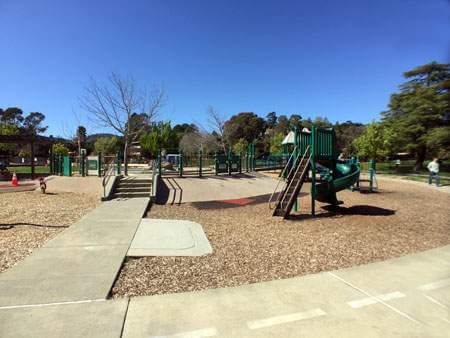 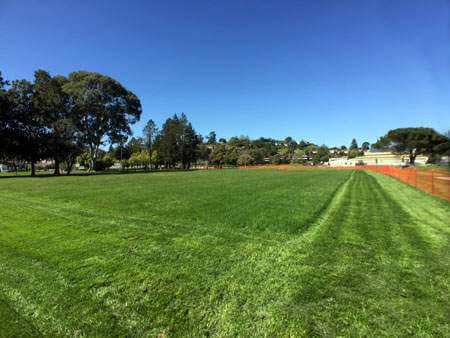 The Corte Madera Town Park is located along Tamalpais Drive in West Corte Madera. 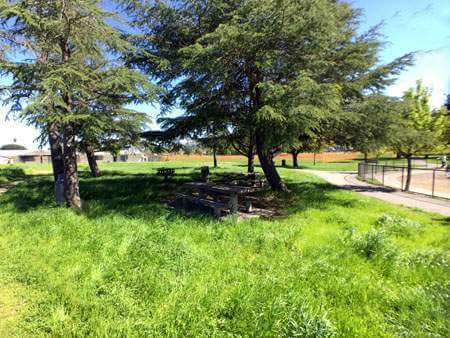 Neil Cummins Elementary School is at the north end of the park. 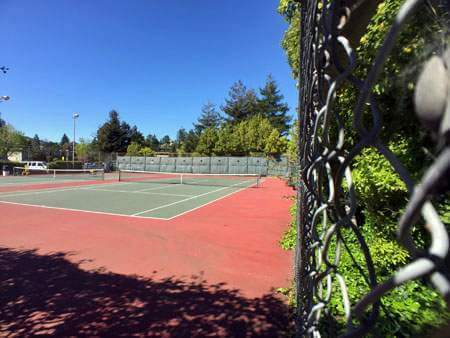 The Corte Madera Recreation Center is at the south end. 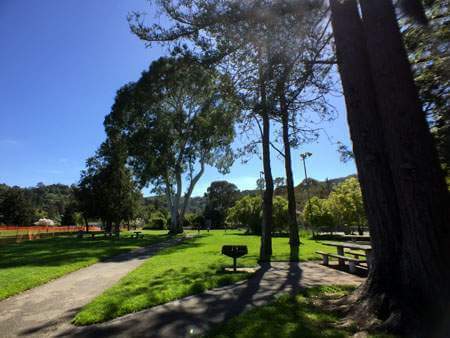 The Corte Madera Town Park, originally at the western edge of tidelands that extended to the bay, was purchased by the Town in 1937 for $3,500. 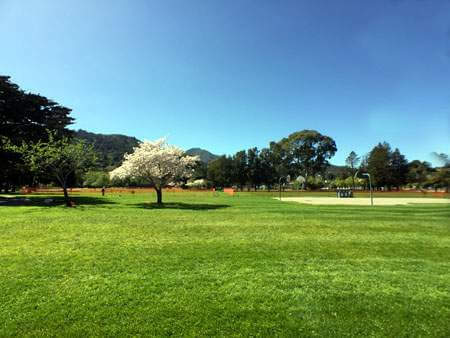 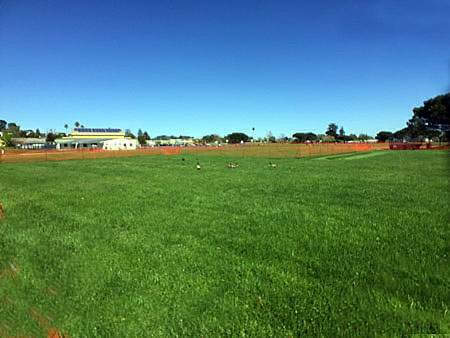 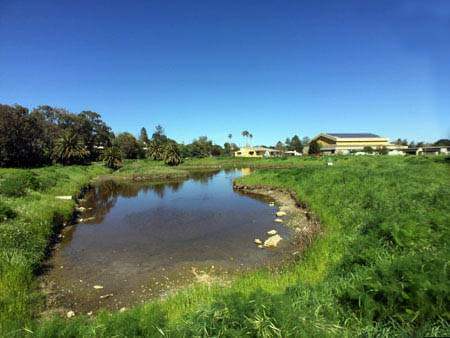 The 23 acres in the park had served as pastureland for the Meadowsweet Dairy in Corte Madera. 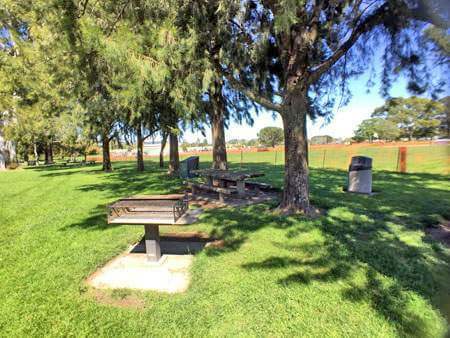 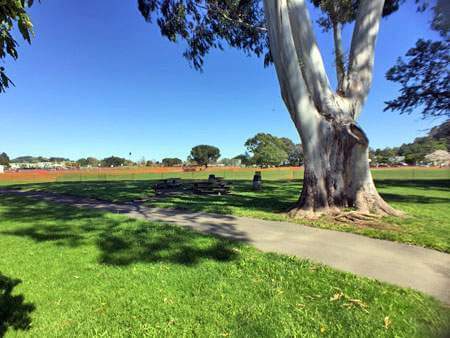 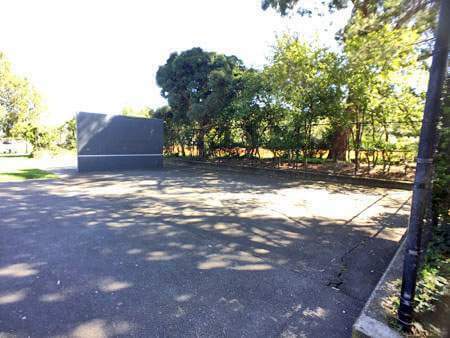 Seven picnic areas each with one or two barbecues and two to four tables. 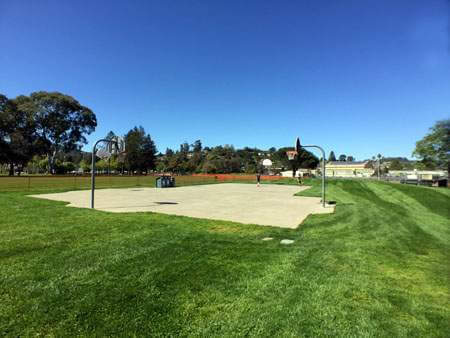 These can be reserved in advance through the Corte Madera Parks and Recreation Department,(415) 927-5072 or recreation_dept@tcmmail.org. 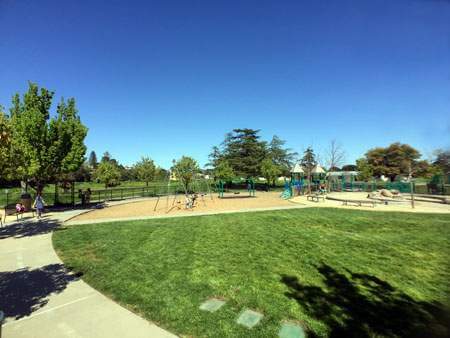 A large circular playground, enclosed by a fence, contains separate areas for toddlers, children under 5 years, and children 5-8 years. 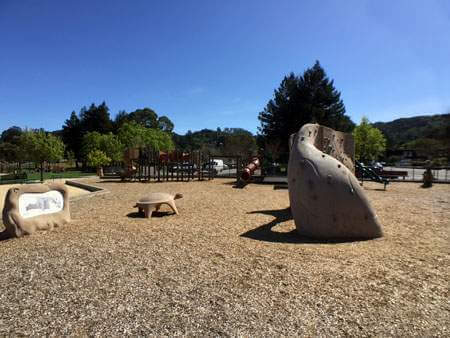 There is a grassy area, a sand pit, a rock climbing structure, full-bucket swings, and big kid swings. 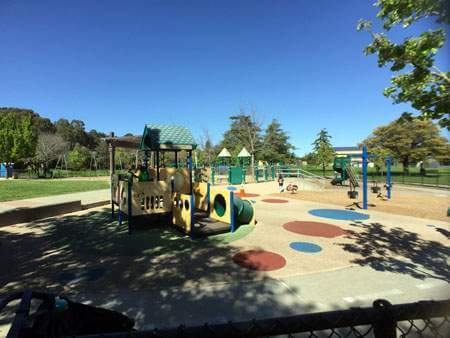 A toddler section has rubber matting with a plastic and metal climbing structure with straight slides, a tube slide, and several coil riders in the shape of motor cycles. 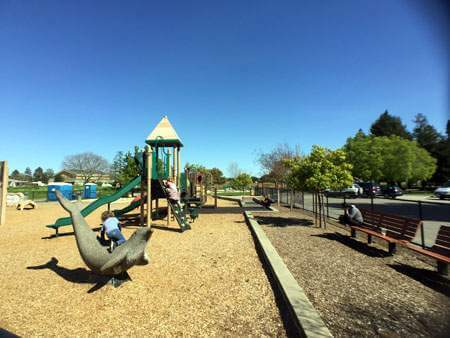 For young children there is a metal and plastic play structure with bridges and climbing ladders, horizontal bars, and more. 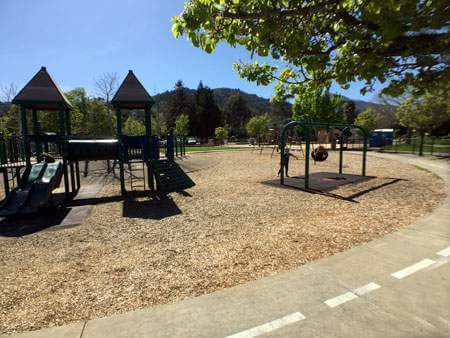 The area for older children, in the shade of oak trees, has a variety of equipment with slides, and a climbing wall.